Peaches are a delicious treat no matter where you are going. They are the perfect addition to a fruit salad, a peach cobbler, and so much more. 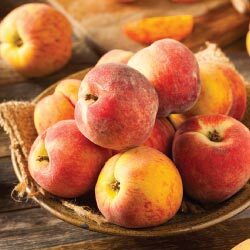 Peaches give you the juicy, satisfying taste of a sweet treat while still providing nutrients. Below are some facts that you may not know about this amazing fruit! Peaches help relieve stress. The natural vitamins and minerals that a peach contains allows it to give your body a healthy, delicious way to relieve stress. Peaches generally have less than 70 calories and also have Vitamins A and C, making it the perfect snack. Peaches are said to be the most delicious from the beginning of June to the end of August. Peaches are said to bring good luck. 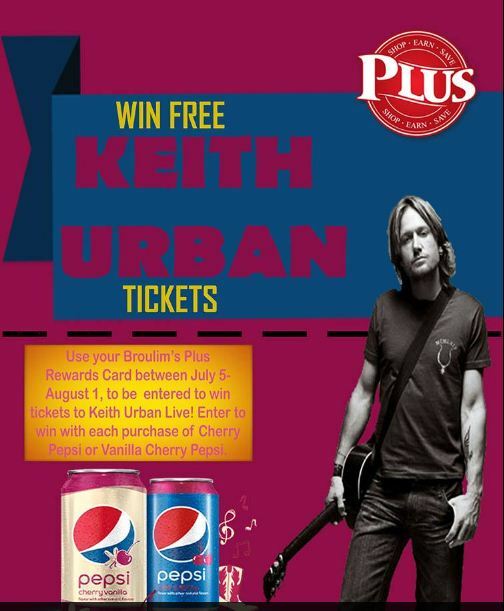 When you purchase Wild Cherry or vanilla Cherry Pepsi product at Broulim’s using your rewards phone number from July 5- July 30, 2016 you will automatically be entered to win two to see Keith Urban live. The winner will receive two tickets to the Keith Urban concert in Pocatello, Idaho at the Portneuf health Trust Amphitheatre. Promotion runs July 19-July 30, 2016 and use your rewards phone number during checkout too be automatically entered. Click here for no purchase necessary and see official rules for details. 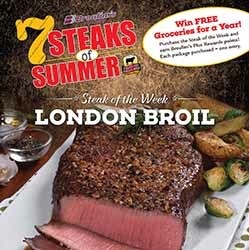 Seven Steaks Of Summer Promotion at Broulims! 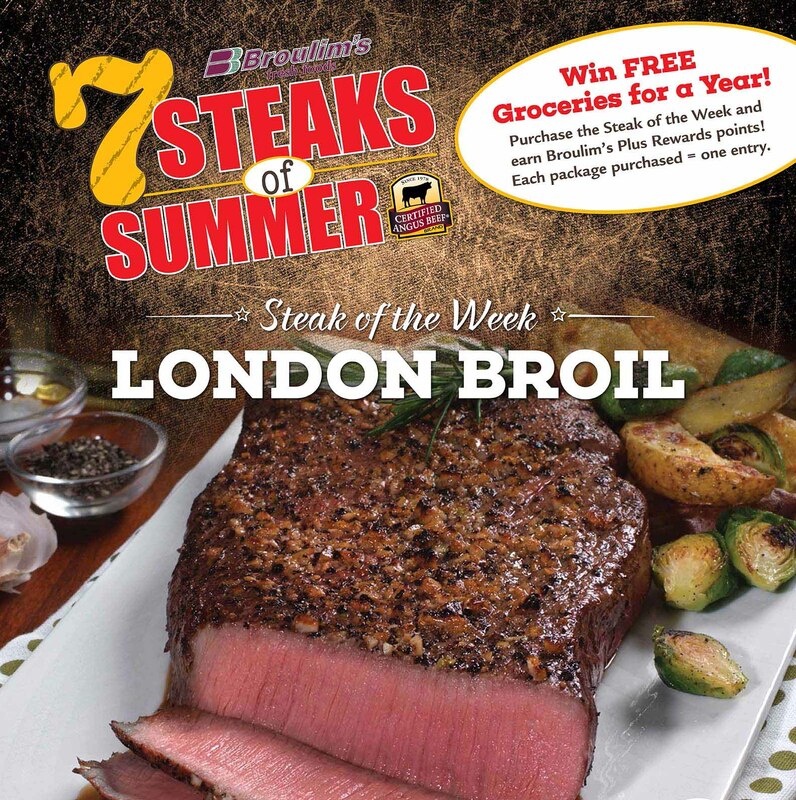 For each purchase of Select 7 steaks of Summer packages get one entry to win groceries for a year and also be entered to win 4 free steaks of the week. Promotion runs for 7 weeks with 7 different steaks each week. One grand prize winner and 7 FREE steak winners. Promotion runs June 29, 2016-August 9, 2016 and use your rewards phone number during checkout too be automatically entered. Click here for no purchase necessary and see official rules for details. Watermelon is a juicy and delicious addition to any BBQ, picnic or backyard dinner. It’s no secret that this fruit is best served just plain sliced and ready to eat, however, there’s so much more you can do with watermelon! Here are five ways to enjoy watermelon that are perfect for any occasion. Blend into drinks. Watermelon is the perfect flavor and texture for smoothies, margaritas, punch and more. 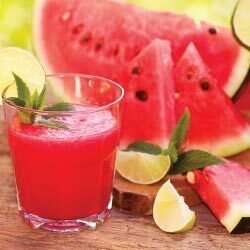 Puree watermelon and add sparkling water and lime juice for an easy, delicious and beautiful drink. Toss into a salad. Watermelon adds the perfect crunch and tanginess to any summer salad. It pairs especially well with feta, fresh mozzarella, avocados, red onion, arugula or strawberries. Make salsa. Homemade salsa is key to the perfect taco. Fruit salsa with watermelon, mint, peppers and a little red onion is perfect to serve with fish, chicken or pork tacos. Or just to eat plain with chips since it’s that’s good! Try Gazpacho. This cold summer soup is delicious when made with watermelon. It gives it the perfect texture and is healthy and refreshing. So look up a recipe and get cooking! Grill it. Next time you have the grill fired up, try throwing on some watermelon slices. The grill enhances it’s already yummy flavor and gives it a smoky hint you are bound to love. Starting July 16, 2016, join us each Saturday* from 7 a.m. to noon for our farmers market. We’ve worked with our local growers to bring you the freshest, highest-quality fruits and vegetables. We’re a local company and are committed to supporting Utah farmers and their families. Click here to learn about some of the local growers we support. *Farmers Markets will be held each saturday from July 16-September 17, 2016. Everyone loves and needs Johnson & Johnson products and the products that you love and trust most are going on sale. Make sure you stock up between July 15th – 29th to save big! Save $5.00 when you purchase $20 in select varieties Johnson & Johnson products. Just pick out your favorite items and make sure to give the clerk your Rewards phone number when checking out. Varieties include Lubriderm, Neutrogena, Clean & Clear, Aveeno, Listerine, Band-Aid, Johnson & Johnson, Destin, Visine, Imodium, Benadryl, Motrin, Tylenol, Sudafed, Neosporin, Pepcid, Rogain, Simply Sleep, Zyrtec. Do you love soccer? Have you always wanted to see a major league soccer match? Now is your chance. 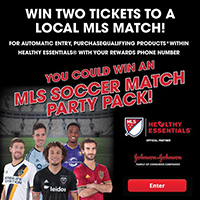 You could win two tickets to a Real Salt Lake soccer game when you purchase any participating Healthy Essential Johnson & Johnson items using your rewards phone number between July 15th-29th. You will be automatically entered to win. It’s the perfect time to stock up on all your Healthy Essential items for summer and have the chance to win a perfect summer evening on the soccer pitch. Look for in-store signs on qualifying products. Read terms and conditions here. The games in Rio are almost here and we want to help you gear up with the ultimate team item—an Under Armour Techpack. 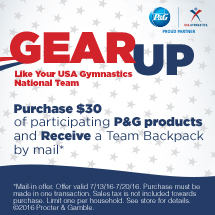 From now until July 20 when you purchase $30 of participating P&G products like Charmin, Tide, Bounty, Pampers and more you’ll qualify to receive a FREE bag by mail. Visit the service booth for more information. And next time you’re in the store don’t forget to find the Gabby Douglas cut-out. Take a picture with her and share it on your Twitter or Instagram with the hashtag #365VenusSweepstakes for a chance to win a year supply of Venus razors. Win free pork for a year! Want to win free pork for a year? Just purchase at least $10 of Smithfield® products in a single transaction using your AFS Rewards phone number between July 7-July 20, 2016 and you will automatically receive one (1) entry into the Sweepstakes. Winner will be chosen and notified in August. Click here for terms and conditions. No purchase necessary. Smithfield Prime brings you the hand-trimmed, juicy, raised-in-the-USA pork cuts you love. Experience fresh pork that’s 20% more tender than other leading brands, and discover for yourself that all pork is NOT created equal. Smithfield takes their commitment to quality and flavor to the highest level which means you can be confident your family will taste the Smithfield Prime difference in every bite. The difference is real and it’s delicious. 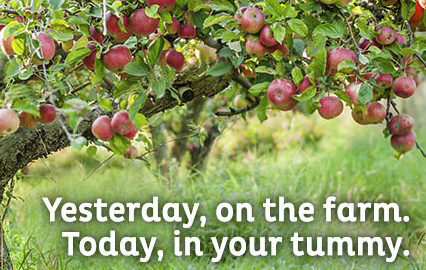 To learn more – go to Smithfield.com. NOT ALL PORK IS CREATED EQUAL. Smithfield Prime brings you the hand-trimmed, juicy, raised-in-the-USA pork cuts you love. Experience fresh pork that’s 20% more tender than other leading brands, and discover for yourself that all pork is NOT created equal. 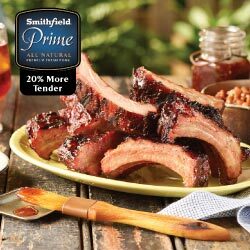 Smithfield takes their commitment to quality and flavor to the highest level which means you can be confident your family will taste the Smithfield Prime difference in every bite. The difference is real and it’s delicious. To learn more – go to Smithfield.com.